Hello everyone! God is doing some amazing things at SMU and I am looking forward to sharing them with you! Thank you so much for all your support and taking the time to stay updated on what is going on in campus ministry. The first big announcement I wanted to share with you is that I will be staying on staff with FOCUS next year! After praying and talking to wise people, I have decided to continue to be a part of the amazing ministry that God is doing on our SMU campus. I am so excited for the opportunity to be a part of the work that God has begun there and get to continue to invest in college students. I believe that God wants to see the heart of every student at SMU turned towards Him and I believe He is opening doors to allow FOCUS to be a part of that! Please be praying for our team as we prepare for this next season! So excited to get to continue to be a part of this amazing campus! This month we had a new event on campus, Glow in the Dark Capture the Flag. We took the traditional game of capture the flag and added glow in the dark tape and glow sticks to create an awesome event. We had new students come out and they had a blast! One of those students has been coming to our core (small group) and is interested in studying the Bible! The goal of this event was to meet new students and introduce them to what we are doing in FOCUS! So I would say it was a success! We also had some Washington students from a ministry we partner with in Western Washington University come down this past week! This is something we do with Western Washington every year. Their students come down during their spring break to do outreach on our college campuses in Dallas and get to spend time with students in our ministry. I got to spend time with some of these students on Friday and the stories they shared about meeting new students on campus were amazing. 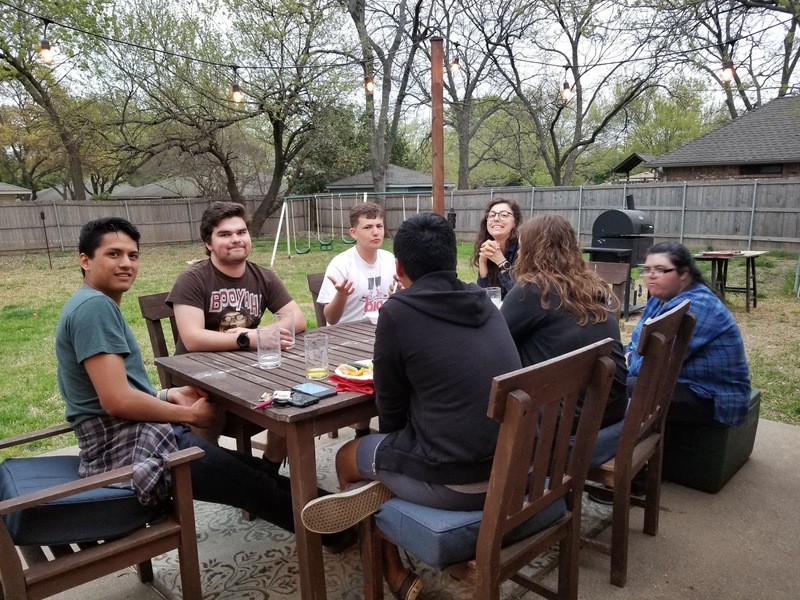 One Western State student shared about how they had talked to a Collin College student during outreach about God and invited them to their small group and weekly fellowship meeting. That Collin student came to both and is very interested in learning more about Jesus! Praise God! It was so encouraging to hear these stories and a reminder that we don't have to be super disciples to share Jesus with people- we are just called to be faithful! Students from Washington having dinner together! 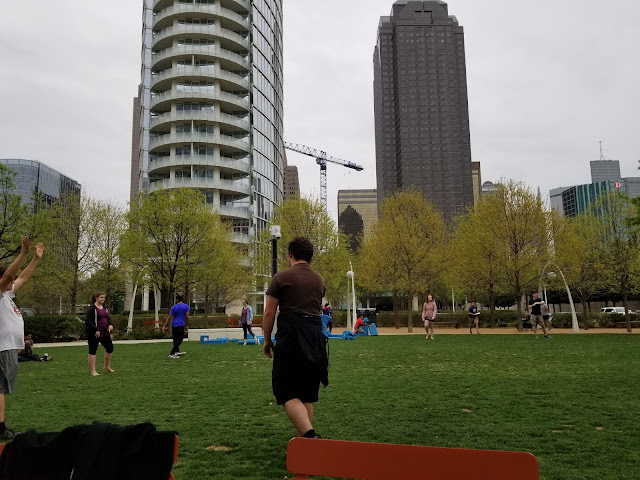 Students from Washington playing catch at Klyde Warren Park! 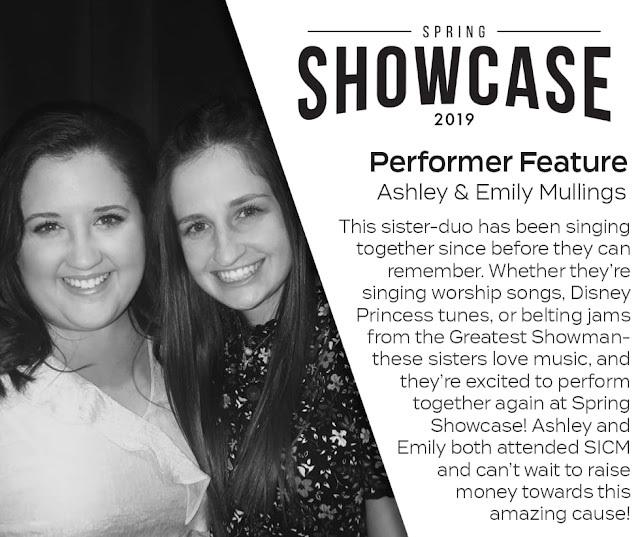 We also have Spring Showcase coming up this weekend! This is an amazing show and I highly encourage you to go! It’s on April 6th at Bent Tree Fellowship Church in Carrollton. We’re having two shows again at 2:30 and 6:30 with an art sale at 5:30. Adult tickets are $20, student tickets $15 and this year we have a limited number of special VIP tickets for $50. 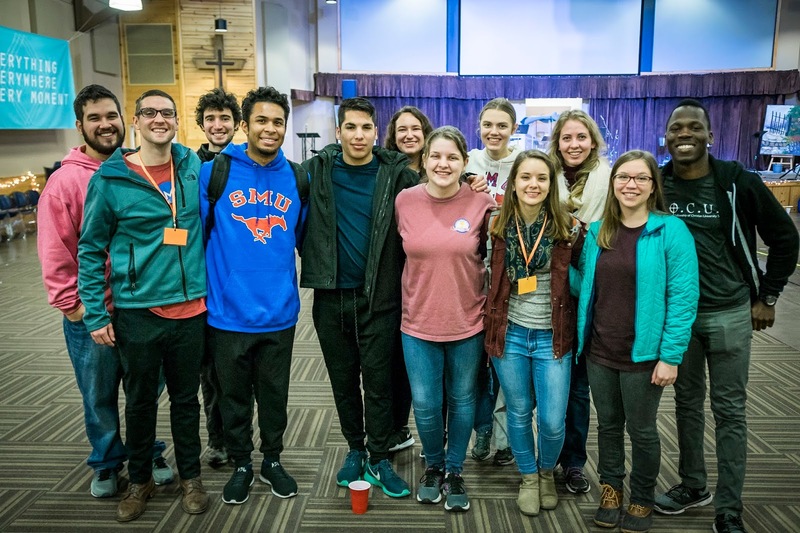 Like every year all donations go towards sending future leaders on our campus to the Student Institute of Campus Ministry in Washington where they learn about how to lead ministry on their campuses. You can get all the info you need on our website at anyfocus.org/Showcase and VIP ticket info at anyfocus.org/showcaseVIP. You can always make a donation through that first link if you can’t attend the concert. I’m so thankful for each of you and your continued support during my work in campus ministry. God is working powerfully in the lives of our college students and is after their hearts! I am so privileged to be a part of it and I couldn't do it without your support! Love you all! Hey Amber! I'm thrilled you'll be sticking around at SMU - God is doing some exciting things there, and I'm glad you will continue to be a part of his mission on that campus. Keep it up! I was also so encouraged by our SSI team at UTA. It's such a humbling thing to meet so many students who want to spend their entire spring break doing campus evangelism at a school that they don't even attend. Wow!